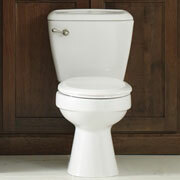 ProSource® of Phoenix has a broad selection of bathroom remodel products, ranging from showers to vanities to toilets. Our team members know that with high-quality brands and a killer design style, you create the bathroom your client has always wanted. Bathroom sinks can be as standard or elegant as your client’s home style demands. 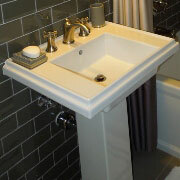 We offer sink styles such as pedestal, vessel and shroud, all from the top manufacturers in the nation! We recommend your client get as customized as they’d like with their bathroom sinks, and we offer the shapes, materials and colors to do just that. Bathroom faucets may seem like an easy task to gloss over during a bathroom remodel project — but they’re not. Faucets are a great way to add some personality to the room, and our faucet collection consists of many types of handles and material types. With the right tools, you can transform your client’s everyday shower into a daily spa oasis! Chances are, your client will use this element of the bathroom almost daily, so finding the perfect shower detail accessories, such as the shower head, handles and faucets, is very a very important task. Bathroom vanities don’t only create counter space and serve as storage space, but they also are a beautiful way to spruce up your client’s bathroom. 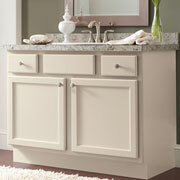 Vanities come in standard styles, but your client can add fancy features like mirrors and lights if they choose. 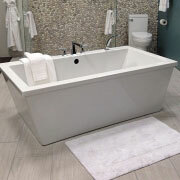 Bathtubs are both functional and decorative, and our team can help you find one that serves both of those purposes! 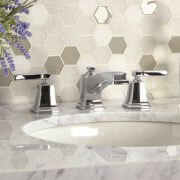 The tubs at ProSource come in fiberglass, marble and porcelain materials, and we also offer tub faucets and hardware. The toilet will likely be the most used item in your client’s bathroom remodel, so finding the perfect style and functionality is essential. We offer toilets that have eco-friendly flush ratings and toilets that have unusual flush mechanisms, so we’re sure your client will find something that suits them.